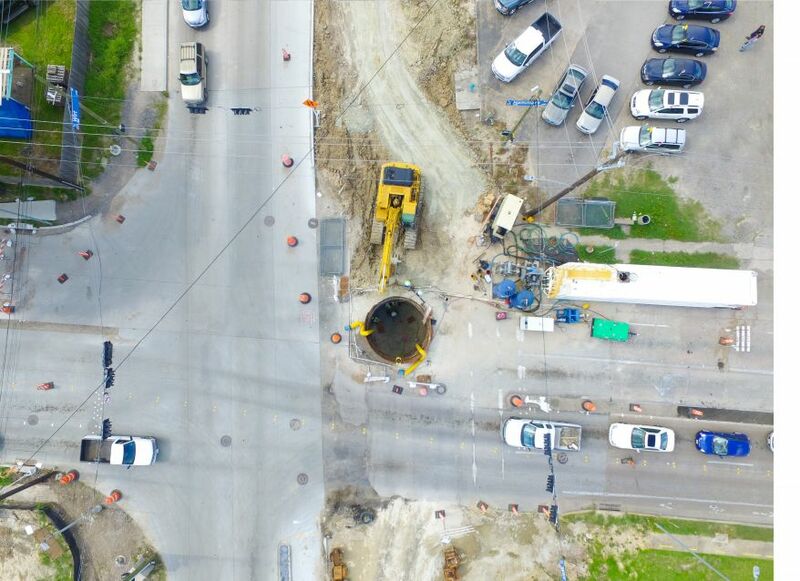 This project consisted of 4,850 linear feet of Neighborhood Street Reconstruction (NSR) and 3,310 linear feet of major thoroughfare (Wirt Road) reconstruction. The NSR consisted of the reconstruction of asphalt open ditch to concrete curb and gutter with sidewalks. The neighborhood NSR was converted to underground storm sewer and as this is at the upper limit of the Wirt Road Storm System, a smaller parallel system was placed on Wirt and then interconnected downstream to convey the flows along Wirt.